PUTRAJAYA • Malaysian prosecutors are set to charge former prime minister Najib Razak and former 1Malaysia Development Berhad (1MDB) president Arul Kanda Kandasamy tomorrow over the tampering of the graft-tainted state investment fund's final audit report. Sources said Najib will be charged with using his position to instruct the then Auditor-General to remove "certain things" from the report. Arul Kanda will be charged with abetting Najib. The two are expected to be charged at the Kuala Lumpur Sessions Court. On Nov 25, Auditor-General Madinah Mohamad revealed that the final audit report on 1MDB had been tampered with and that Najib had knowledge of it. She also disclosed that two crucial matters dropped from the report were on the presence of wanted businessman Low Taek Jho or Jho Low at a board meeting of 1MDB and the financial status of the state fund. The changes to the 1MDB report were made on Feb 26, 2016, on grounds that it was a "sensitive issue". Meanwhile, the Malaysian Anti-Corruption Commission (MACC) arrested Najib yesterday over his alleged role in the tampering of the audit report on 1MDB. A source told Bernama news agency that Najib was arrested at 10.51am at the MACC headquarters shortly after he arrived for a fresh round of questioning over the issue. The source added that the former prime minister was released on bail about 21/2 hours later. I know today is not the easiest day for us but let's take a moment to thank Allah that we are all healthy, alive and still able to help others in need... Happy Birthday to my one and only Mummy. Love will get us through it all. 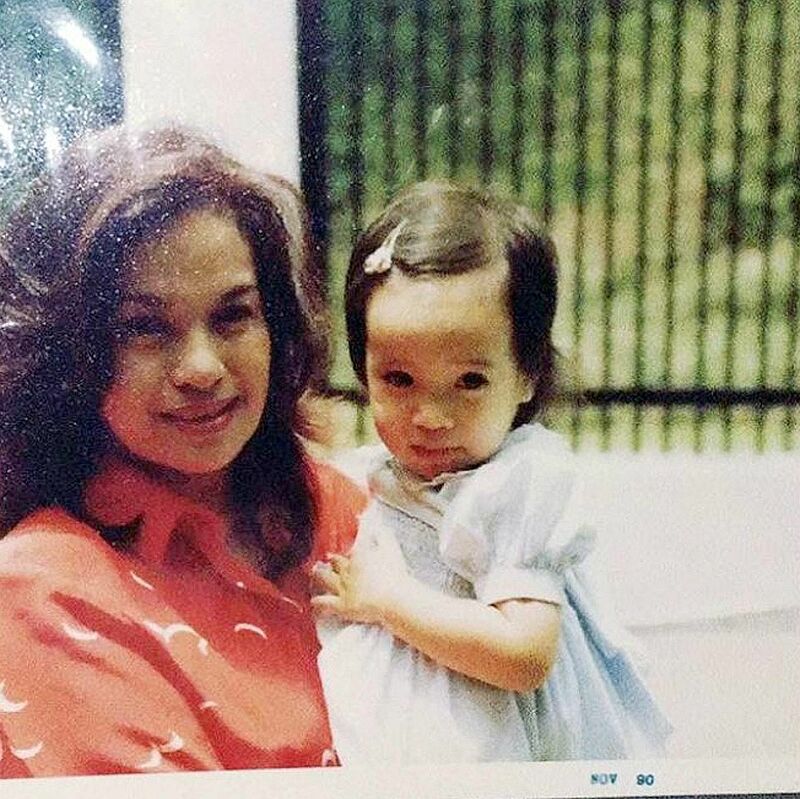 MS NOORYANA NAJWA, posting a photo on Instagram of her mother Rosmah Mansor carrying her when she was a child (above). Najib had spent about four hours at the office last Thursday, giving his statement to assist in the same investigation. The MACC has questioned several people about the report tampering, including former legal officer in the Attorney-General's Chambers Dzulkifli Ahmad, former auditor-general Ambrin Buang, former chief secretary to the government Ali Hamsa, and the then 1MDB group president and chief executive officer Arul Kanda. After Najib's arrest, his daughter Nooryana Najwa lamented that the arrest had taken place on her mother Rosmah Mansor's 67th birthday. "I know today is not the easiest day for us but let's take a moment to thank Allah that we are all healthy, alive and still able to help others in need," said Nooryana in a message posted on Instagram that was accompanied by a photo of her mother carrying her when she was a child. "Happy Birthday to my one and only Mummy. Love will get us through it all."